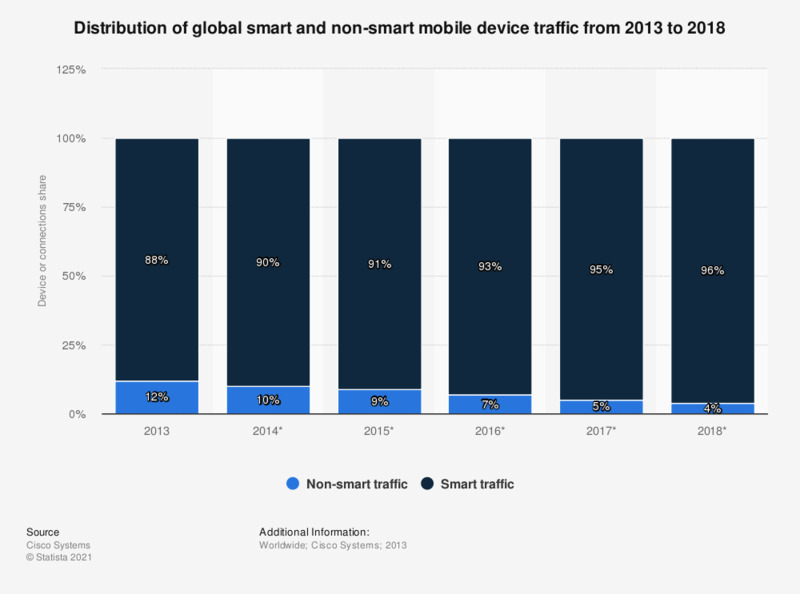 This statistic gives information on the distribution of global smart and non-smart device traffic in 2013 and offers a projection until 2018. In 2013, 88 percent of global mobile traffic originated from smart mobile devices. In 2018, the share of smart mobile device traffic is projected to grow to 96 percent.